Silos and church steeple landscape – One year back in Minnesota today! 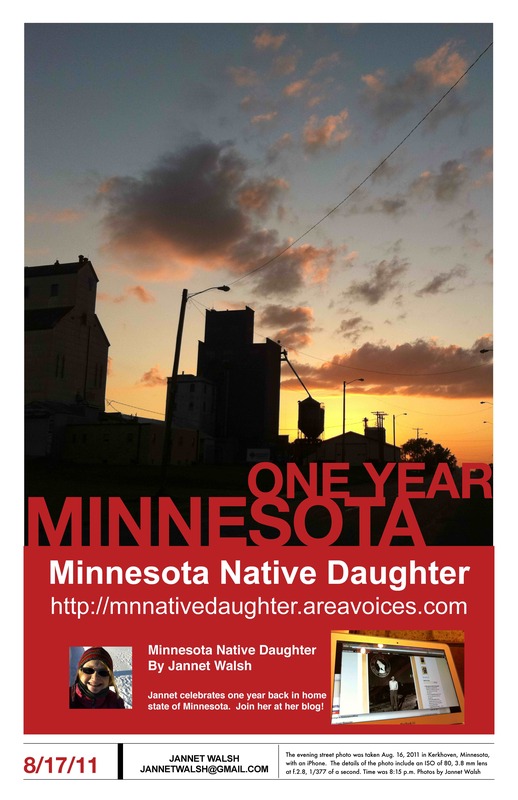 Click to download high resolution of One Year Back in Minnesota poster! Murdock is not on the map. Those were the words of moving van driver on the day of my big move on Aug. 13, 2010 from Ocala, Florida to Murdock, Minnesota. How could it be it’s not on the map? My great-grand parents were pioneers in the area, specifically Dublin Township, before Murdock was incorporated in 1881, located in Swift County. Could it be that Murdock is located near the fictitious Lake Woebegon or even worse, Brigadoon, a village in Scotland that appears every few hundred years? How would I make the move to Murdock? The solution was very simple. I made a photocopy of a detailed map and with the help of Global Positioning System, the move was completed. 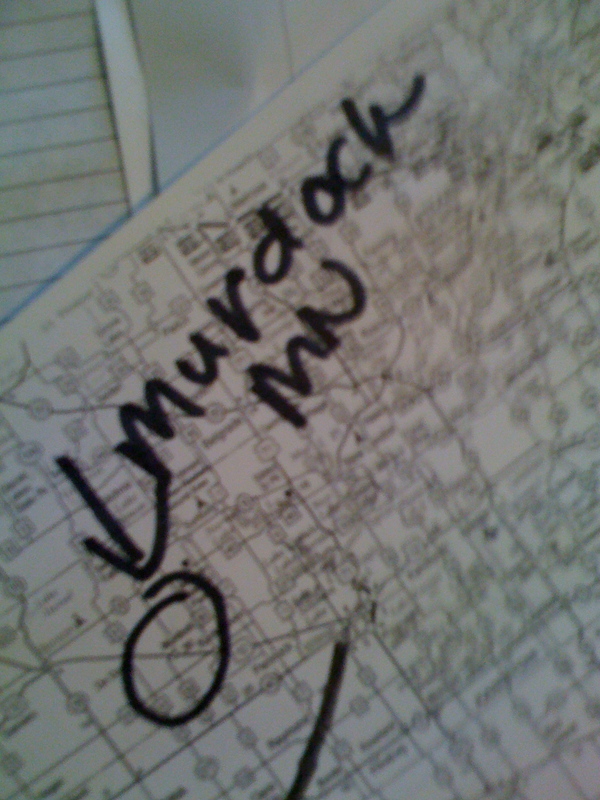 Here is the map I gave to the moving van driver after he told me he could not find Murdock, Minnesota on the map and it must be a fictitious place. I invite you to follow my blog in the rural community of Murdock, Minnesota, population 303, according to the 2000 U.S. Census Bureau. The only skyscrapers I need are grain silos and church steeples. I am a Minnesota Native Daughter.